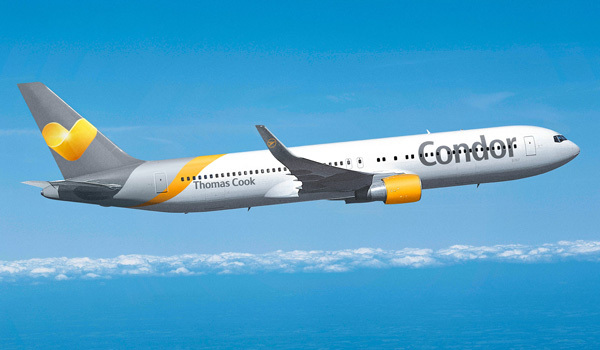 Condor has announced two new longhaul destinations in the United States for next summer. From June 2015 the carrier flies from Frankfurt two times weekly to Providence (Rhode Island) and two times weekly to Portland (Oregon). On both routes the german airline will use their Boeing 767-300ER with 259 seats with 18 in Business and 35 seats in Premium Economy. Condor already flies to Minneapolis (MSP), Baltimore/Washington (BWI), Fort Lauderdale (FLL), Las Vegas (LAS), Seattle (SEA), Anchorage (ANC) and Fairbanks (FAI).